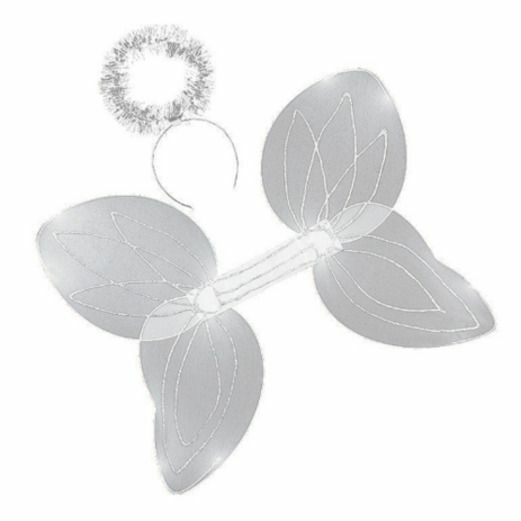 Our Angel Wings Set is a fun costume accessory for many different occasions. Use it for a Christmas pageant or as part of a Halloween costume. This fun set includes wings with elastic shoulder straps and a silver halo on a plastic headband.